A few weeks ago I posted my own video tour through Penn. Now I've got a Penn tour that's a little more high tech. 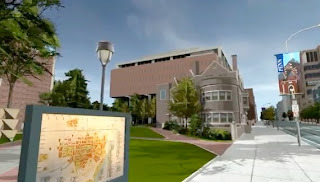 Check out this very cool virtual tour through Penn's campus! (starts at minute 0:58). This company has got Penn down to every detail!